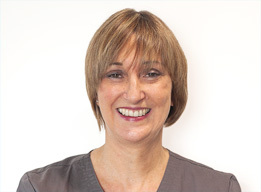 Anne-Louise graduated from Liverpool University in 1981 and then worked in the Community Dental Service in both Stratford and Alcester clinics. She joined the practices in 1987 following the birth of her first son. She works part-time at both practices and maintains a particular interest in the treatment of children and those with special needs. She met David on her second day at University, married him in 1984 and together they have developed the practices into what they are today. Over the years she has attended many post-graduate training courses and has been involved with the training of new dental graduates. She is particularly interested in Tooth Whitening and is a Member of the British Dental Bleaching Society. Outside of dentistry most of her time is taken up with her family. She enjoys cooking, walking and foreign travel.